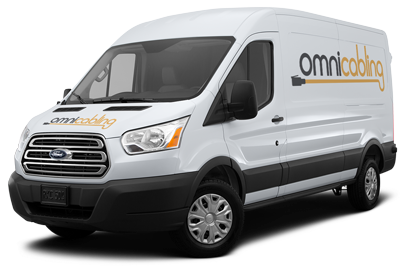 Omni Cabling is a full service Michigan and Ohio technology integrator offering solutions for low voltage cabling, audio/video, data/voice networks, access systems, security cameras, cell phone boosters, digital signage, home theaters, and more. We serve residential, commercial, industrial, education, hospitality, and healthcare customers. Our low voltage cabling services include Coax, Cate5e, Cat6, Cat7, and fiber optic cabling for new and existing buildings. All of our cabling is tested and verified. We have many years of experience and our team has contributed to the advancement of the industry at the Optical Networking and Communication Conference, the International Cable and Connectivity Symposium, and at Institute of Electrical and Electronics Engineers (IEEE) standards meetings. We have an intimate understanding of the technologies behind the systems we install. At Omni Cabling we stay on the cutting edge of the latest technologies, so we can offer you advanced solutions for all of your technology needs.